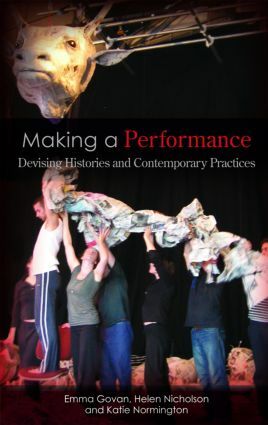 Making a Performance traces innovations in devised performance from early theatrical experiments in the twentieth-century to the radical performances of the twenty-first century. This introduction to the theory, history and practice of devised performance explores how performance-makers have built on the experimental aesthetic traditions of the past. It looks to companies as diverse as Australia's Legs on the Wall, Britain's Forced Entertainment and the USA-based Goat Island to show how contemporary practitioners challenge orthodoxies to develop new theatrical languages. Designed to be accessible to both scholars and practitioners, this study offers clear, practical examples of concepts and ideas that have shaped some of the most vibrant and experimental practices in contemporary performance.